The leafcutter ant; They get their name from the way they cut leaves from trees, which they then haul back to their nest. 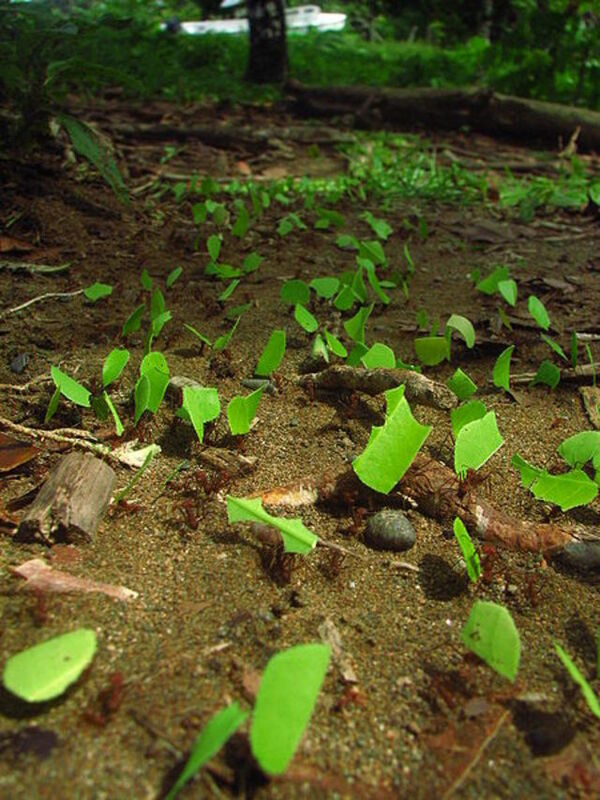 They do not eat the leaves, but instead they use it as compost to grow a particular type of fungus that does not grow anywhere other than in leafcutter ant nests. The ants eat the fungus, and feed it to their young. The fungus is grown in football sized chambers inside the nest. There can be 300 or more of these chambers inside the nest, and all of the earthworks to build them might involve the removal of 18,000kg of earth during the lifetime of the nest. 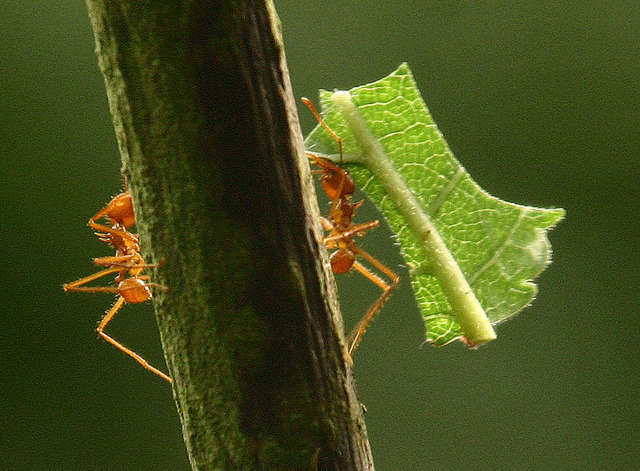 "Bachaco" is used in Venezuela for this same type of ant. THAT TOTALLY DOES NOT ANSWER MY QUESTION!!!!!!!!!!!!!!!!!!!!!!!!!!!!!!!!!!!!!!!!!!!!!!!!!!!!!!!!!!!!!! Because if they are attacking your roses and carrying away bits of pretty petals they look like a wild drunken Bacchanalian carnival parade? ?